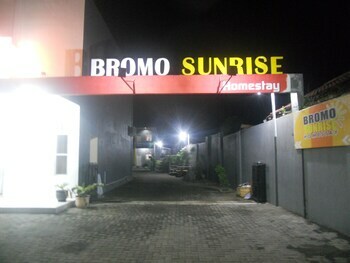 With a stay at Bromo Sunrise Homestay in Probolinggo, you'll be 4.7 mi (7.5 km) from Bayuangga Probolinggo Stadium and 4.8 mi (7.7 km) from Museum Probolinggo. Featured amenities include dry cleaning/laundry services and a 24-hour front desk. Free self parking is available onsite. When you stay at Aquarius Beach Hotel in Sanur, you'll be near the beach, within a 10-minute walk of Sanur Beach and Sanur Night Market. With a stay at Amaris Hotel Sunset Road in Kuta (Sunset Road), you'll be within a 10-minute walk of Siloam Hospitals and Carrefour Plaza Kuta. When you stay at ZEN Rooms Cipayung KM 71 in Megamendung, you'll be 12 minutes by car from Taman Wisata Matahari.